Installation mode: can be installed at the side under the air conditioner and keep it as far as possible from it so as to avoid dew fall at the bottom of the air conditioner as large amount of vapor will be generated when the evaporator works. It can be installed directly on the ground if the space is insufficient. When installing it on the ground, take care not to kick it so as not to get injured by the spilling hot water. 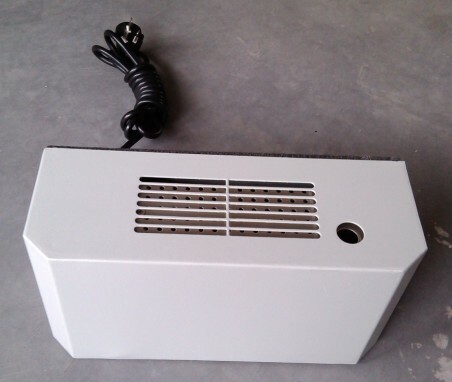 The evaporator has automatic control of liquid level sensor, please place the evaporator levelly when powering on, do not turn it upside down otherwise the electric heating tube will be dry heated and damaged. Prohibit placing the hand above the venthole when the evaporator works so as not to get scalded. The large power air conditioner will generate more condensed water, better select the evaporator with one gage larger evaporative capacity. Make regular rinse to lengthen its service life.